Blesh offers advertisers a unique platform, where they can reach their target audience through their own apps or various 3rd party apps on real time, by sending push notifications. Blesh can help you reach your audience at any location on the map through various location technologies including geofencing and even in-store with much precise targeting through beacons and wifi. We send location-based push notifications through apps with Blesh SDK (including your own), using beacons, geofencing, wifi and other location technologies. If you do not have an app or are looking for other apps to use, Blesh will offer you 300+ apps with Blesh SDK in its app network, with a wide variety of categories. 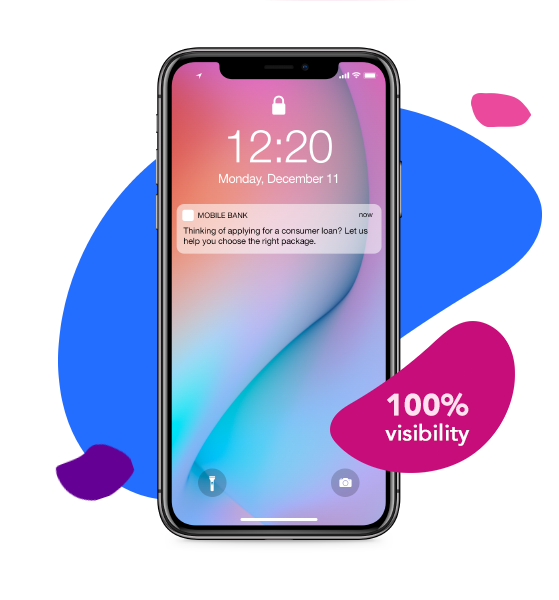 Blesh can help you reach your audience at any location on the map through geofencing and even in-store with much precise targeting through beacons and wifi. Reach audiences based on their past and recent behaviours including places they visit and their action to offers and their mobile fingerprint. With the platform, you will be able to manage every bit of your campaign by time, segment, location, app and even customize your content. Using the platform, you will be able to manage every bit of your campaign by time, segment, location, app and even customize your content.